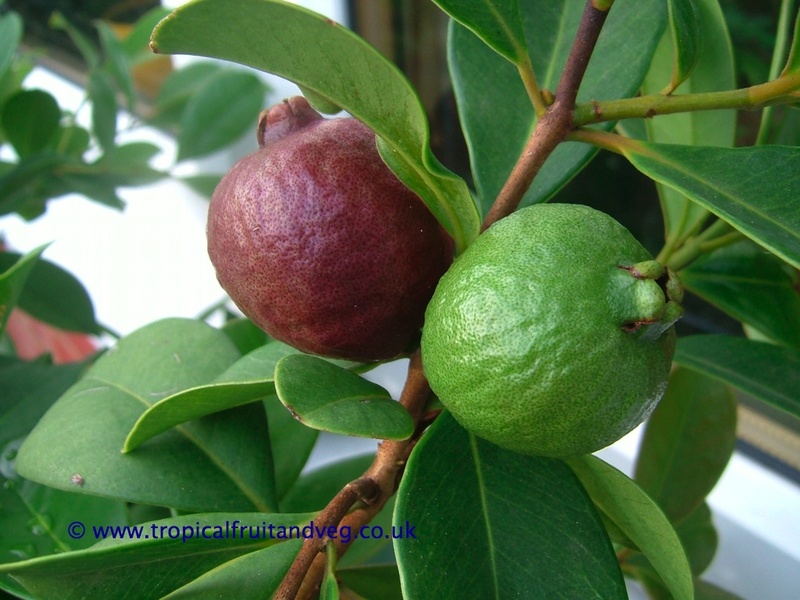 Strawberry guavas (or cattley guava) are evergreen trees that grow to over 15 ft with spreading branches although unlikely to grow to over 10 ft in the UK climate. 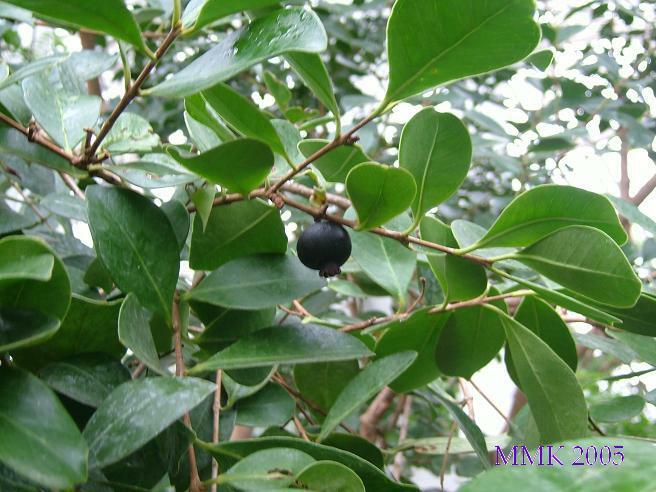 The leaves are 2 to 4 inches long and 1 to 2 inches wide and the fruit is about 1 inch diameter either dark red/purple or yellow/green in colour. Strawberry guavas are eaten out of hand. 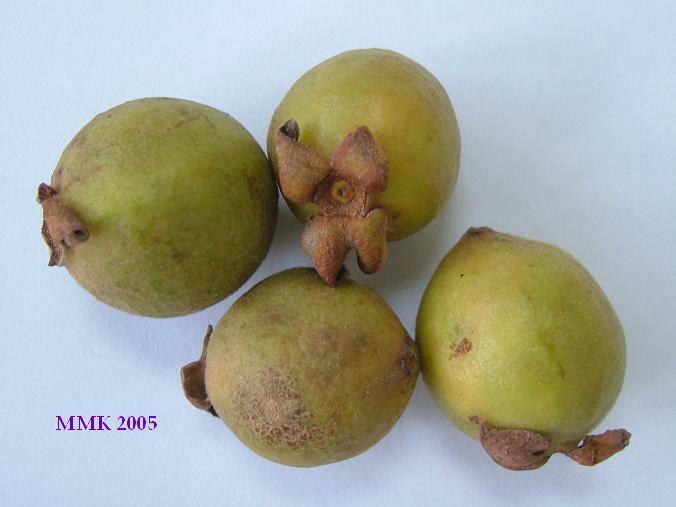 A puree or tart-filling can be made from strawberry guavas. 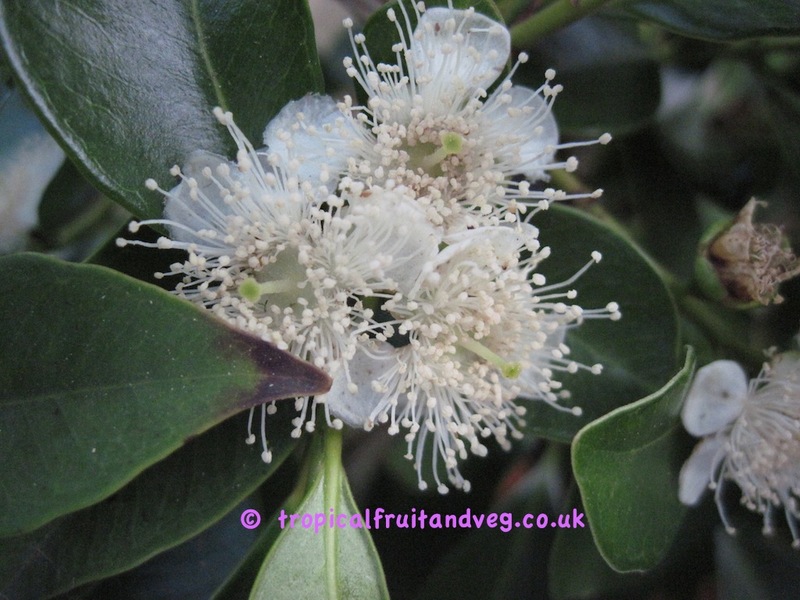 They can also be used to make jelly, jam, butter, paste and sherbet. In Hawaii, they are used to make ade or punch. 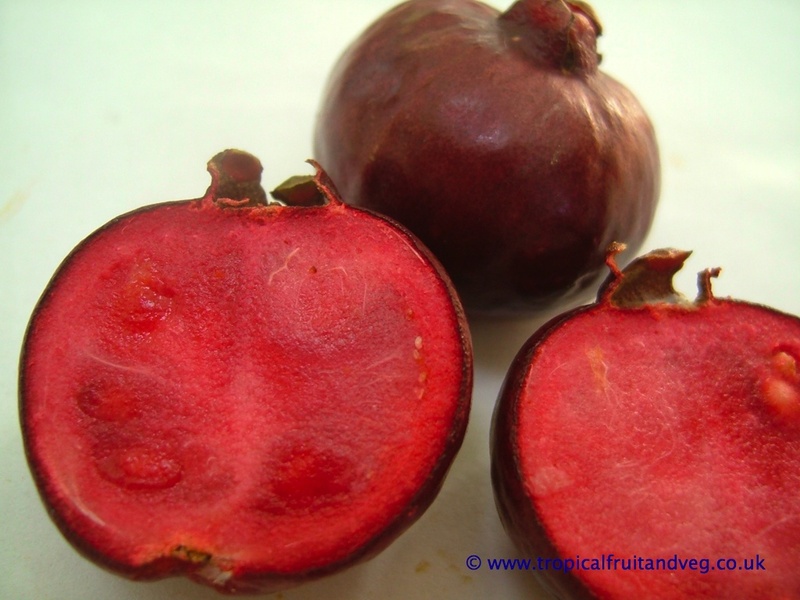 The red strawberry guava is hardier than the common guava and can survive temperatures as low as -5 . It will grow wherever the orange is grown without artificial heating. 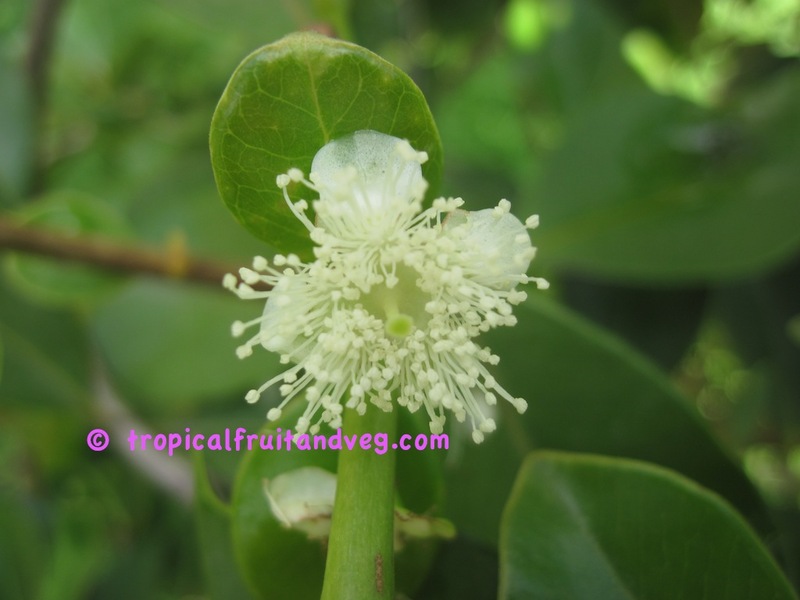 The yellow strawberry guava is more tender and its climatic requirements are similar to those of the lemon. Both kinds flourish in full sun. 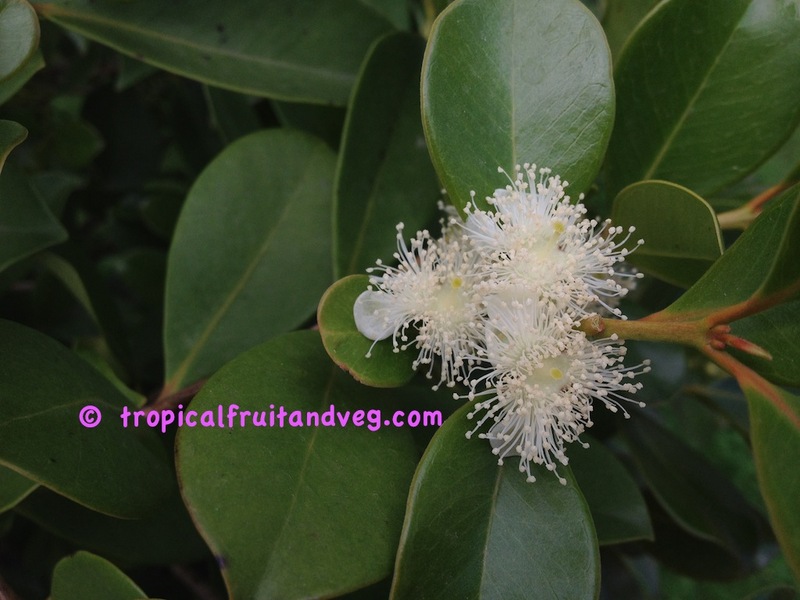 Strawberry guava does well in limestone and poor soils that would barely support other fruit trees. It is shallow-rooted but the red type is fairly drought tolerant. The yellow is able to endure flooding for short periods. 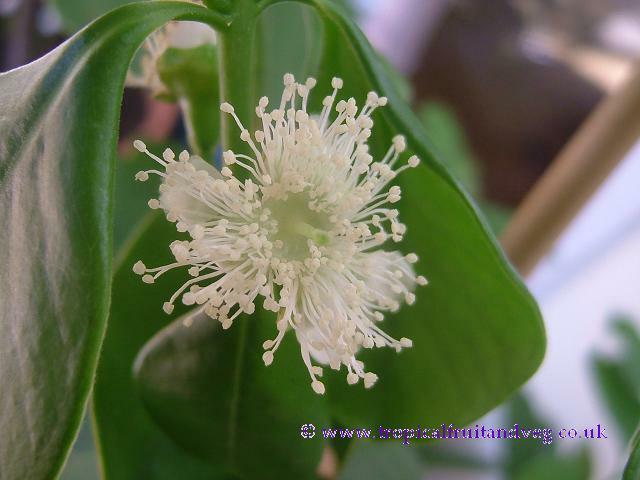 The tree is not easily multiplied by budding or grafting. It can be propagated by layering or rooting of soft tip cuttings or root cuttings, but is usually grown from seed even though seedlings of the red type vary in habit of growth. 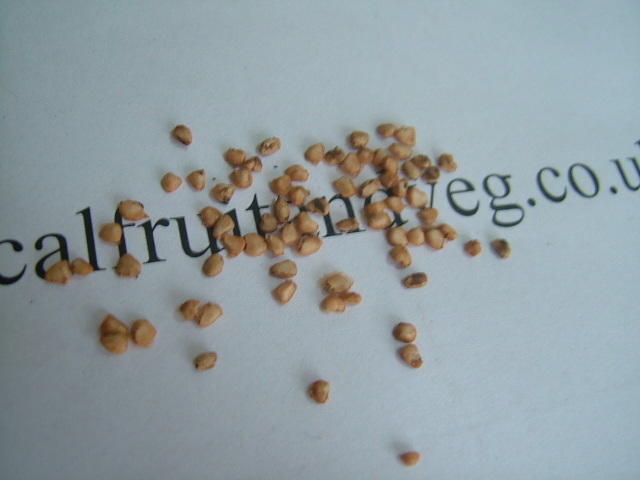 The yellow comes fairly true from seed.